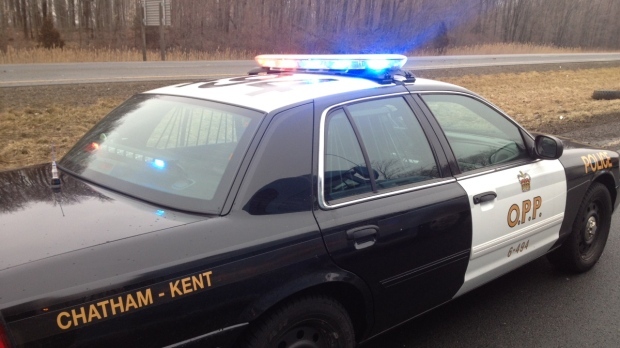 Chatham-Kent OPP are investigating a fatal crash near Wallaceburg. Police were called to a two car collision just before 4:00 p.m. Saturday on Highway 40 near Heritage Line. The cause of the crash is unknown at this time, but police say a Toyota car travelling south on Highway 40 collided with a northbound vehicle. The male driver of the Toyota was pronounced dead at the scene. A female passenger of the Toyota and female driver of the Chrysler were sent to hospital with unknown injuries. The deceased driver of the Toyota car has been identified as Antony Nascimento, 53, from Toronto. The female passenger of the Toyota car, Rooshmanie Rambarran, 51, from Toronto, was taken to hospital where she is being treated for non-life threatening injuries. The female driver of the Chrysler vehicle, Catherine Caron,e 19, from Wallaceburg, was taken to hospital where she is being treated for non-life threatening injuries. Highway 40 was closed for the investigation but has since reopened.